“Then again, he said, it’s an open question, which person is the captor here, which is the captive. “He bent his head close to her ear and brushed her hair away, as if to speak directly into her brain. Maybe he thought I wouldn’t hear, or maybe he was just beyond caring. On a related note, it’s impossible to read this book and not want to bake, or at least eat, a peach pie. After reading one of my grandmother’s favorite books recently (A Tree Grows in Brooklyn), it seemed only fair to read one of my grandfather’s. 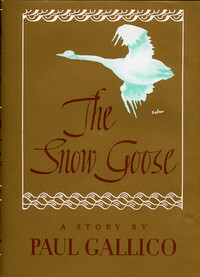 Published in 1940, the story is about a lonely man, a young girl, isolation, winter, and sacrifice. My copy has this line marked: “His body was warped, but his heart was filled with love for wild and hunted things. He was ugly to look upon, but he created great beauty.” The style reminds me “Gift of the Magi,” another story that is impossible not to love. 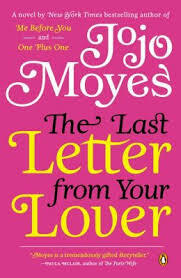 I love this title, and I love just about everything Moyes writes. The novel is set in France during the German occupation of World War I, when Sophie, the wife of an artist whose husband is at battle, is forced to take in German soldiers. The captain soon becomes obsessed with a painting of Sophie. In the present day, the painting is at the center of a legal fight. This book was slow moving, I will admit, but I’m glad I read it. Moyes does a particularly impressive job of creating sympathy for the unlikable (to say the least) German captain; additionally, the linking of past and present felt natural. This was a reread in between trips to the library. The book is a funny, almost campy take on housewives and murder in the suburbs, from the perspective of Kate, who has always felt like an outsider. Kate becomes fixated on solving the murder of her neighbor. Beyond the plot, the novel really shines in its use of humor: Kate gets mugged for her expensive stroller, which even the robber can’t get to open and close properly; her children beg for “Kenfucky [sic] fried chicken”; when a man breaks Kate’s heart, her best friend tries to have him deported. I’ve read maybe two thirds of Weiner’s novels, and this one, FLY AWAY HOME, and THEN CAME YOU are probably my favorites. Okay, very different than my usual reading, but very helpful! Jolie Kerr is super witty, even while talking about cleaning. My house now sparkles thanks to her wisdom. For Christmas, one of my aunts gave my mother and me a selection of five books for us to divide up and read, and this book of short stories was one of the best. The prose is quiet but beautiful. What impressed me most was how Black allows her characters to have happy endings. There were a couple times, after the story ended, that I realize I’d almost been holding my breath, because I wanted good things for these characters, but were shocked when they happened. For that revelation alone—that it’s possible to write a well-crafted short story that ends on a relatively high note—this book is worth reading, especially for writers. (In other words, maybe I’ll stop beating up my characters with so frequently). I’d wanted to read this memoir ever since my sister and I heard a story about a strange neurological disorder affecting young women, its symptoms appearing so much like demonic possession that some wonder if it’s the true source of reported cases of possession in the Middle Ages. Cahallan, a reporter for the New York Post, was in perfect health until coming down with bizarre physical, mental, and emotional symptoms that rendered her incapacitated. 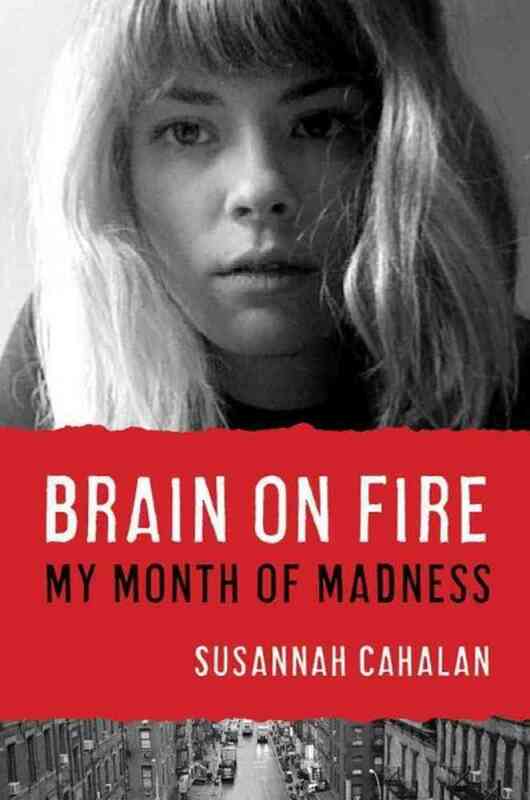 This book is Cahallan’s attempt to recapture the thirty days she lost to anti-NDMA receptor autoimmune encephalitis. By necessity, it’s extremely technical, but still a good read. Aimee Bender is one of those authors I’ve been meaning to read, ever since THE PARTICULAR SADNESS OF LEMON CAKE, which I still haven’t read, came out. When I read descriptions of her latest book of stories—fabulism! trauma in apple orchards! ogres eating children!—I was super excited. My favorite story in the book, “The Red Ribbon,” ended up being one that while not overtly magical, still contained great elements of exaggeration and raised interesting questions of about the nature of relationships. 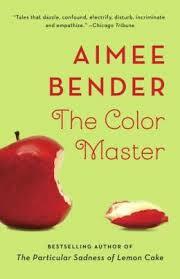 “Appleless” was vivid and creepy and reminded me a great deal of Goblin Market. My mother lent me this book, just as she’s lent me about half the books I’ve read in the past several years, and I may be the writer, but she’s got amazing taste. 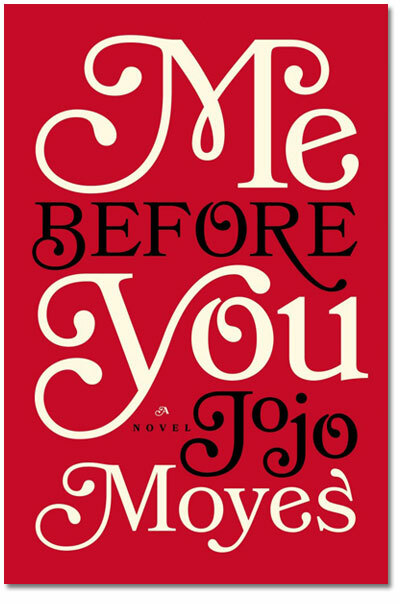 She introduced me to, among others, Elizabeth Berg, Anita Shreve, Liane Moriarty, and now Jojo Moyes, all of whom I love. I’m going to call it now and say that THE LAST LETTER will be one of my favorite books I read this year. It’s the most amazing love story told in a sharp and witty manner. The character Anthony reminds me quite a bit of the Humphrey Bogart character in Casablanca, and Jennifer, who starts out docile, becomes fierce and fearless. I just loved everything about this. Taking inspiration from Kayla, I’m going to start tracking the books I read. SHARP OBJECTS by Gillian Flynn- I asked for this novel for Christmas after reading and loving the author’s latest book, GONE GIRL, last year, and SHARP OBJECTS didn’t disappoint. 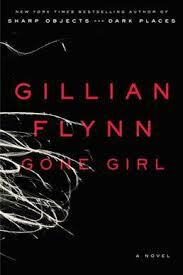 My opinion is that Gillian Flynn is unparalleled in creating disturbed, sociopathic female characters. She’s also gifted in writing prose. I liked it a whole lot. WHERE’D YOU GO, BERNADETTE by Maria Semple- I don’t know how to describe this novel other than saying that it is a funny missing persons story. The narrative is made up of letters, emails, articles, and much more that I can’t recall at the moment. I loved Bernadette because she reminded me of my mother, and this is a compliment to the character. Also, the whole time I was reading it, I kept hearing “Bernadette” by The Four Tops in my mind, which is not a bad thing at all. A TREE GROWS IN BROOKLYN by Betty Smith- More so than almost any other book, this novel makes me really emotional, so I’m going to keep this short and say that Betty Smith is unparalleled in creating characters so rich they jump off the page and come live with you, and the plot and prose are achingly beautiful. Happy New Year! Here are my five (well, six) favorite books that I read in the past year. (They were not all published in 2013, although some were). I discovered STILL LIFE by accident in a bookstore. Fox does an excellent job of rendering the protagonist’s struggle in developing feelings for someone other than her spouse. This was a great example of a not necessarily likable or relatable character who’s still interesting to read about. 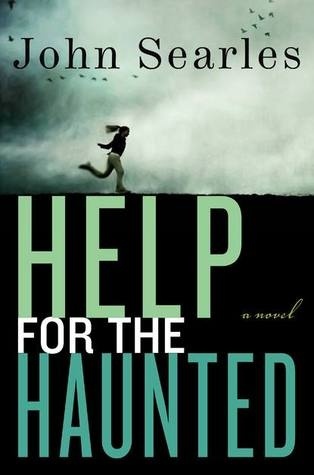 I wrote about wanting to read HELP FOR THE HAUNTED before, and it lived up to my expectations. The book has been categorized as horror by some publications, but for me it was mainstream or literary fiction with strong undertones of creepiness, and sometimes that’s even scarier than overt horror. Another one I was looking forward to and ending up loving. 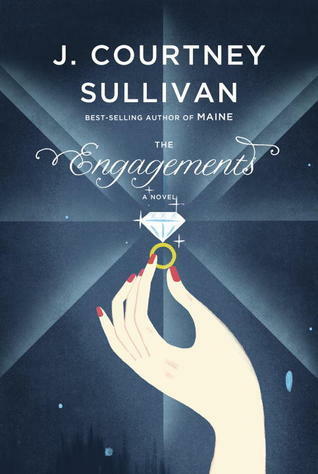 Sullivan jumps around in time to different characters and story lines, yet nothing feels disjointed. One of her strengths as a writer, in my opinion, is enriching the plot through detailed descriptions of her characters’ pasts. 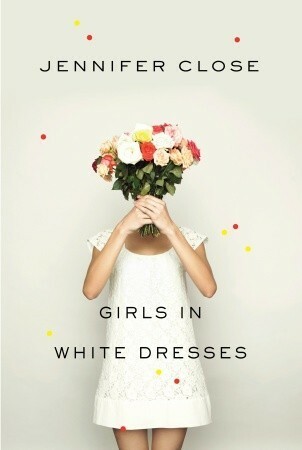 Though billed as a novel, this reads more as a book of connected short stories about the lives of twenty-something, white urban women. Everything about Close’s portrayal was spot-on, from the tangled relationships to drinking to weddings. One of my favorite chapters was “The Candidate,” about a woman dating a man obsessed with electing a politician who is obviously Barack Obama, though his name is never mentioned, which makes it feel even more universal. The book is darker than the cover lets on, which for me was a plus. I don’t know how to describe this novel other than saying that I laughed out loud and at times cried so hard I had to put down the book. It’s visceral and unpredictable and surprisingly not depressing. I loved it. The cover design is great too. Moriarty is my favorite author of the year; I read all 5 of her novels, and any one of them could easily be my favorite book of the year. 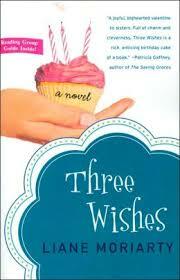 Three Wishes, her first, stands out because her depiction of the relationship of triplets was so relatable to my own life. I can’t wait for Moriarty to write another novel.